I have a great passion for horology, the study of clocks. I’ve always maintained that the clock is mankind’s most significant invention. You can erase all the Rembrandts from history and the world will be basically the same, but if you take the clocks away then everything would be completely different. The work of men like Christiaan Huygens and John Harrison has completely changed the way we tell the time. I’ve always been fascinated by these great inventors and their clocks. They inspired me to design one of my most famous creations, the Chronophage. I have one of the most comprehensive collections of early English clocks that travel the world to reach new audiences. The first clock I ever had was a Welsh Grandfather. I’m thrilled to be involved with a new clock exhibition this Autumn which is hosted at Bonhams, 101 New Bond Street, London W1 from Monday September 3 to Friday September 14 2018. Please see the website Innovation & Collaboration for full information. As a child I would always stare through the window of the clock shop opposite Harrods if I was ever in London. Years later this is where I bought my first clock, which was built by a man by the name of John Taylor! I’m glad to say that I still love and treasure that clock. Much like the case for my passion in inventing, it was my father (Eric Taylor) who first sparked my interest. I would often see him at the kitchen table trying to fix a clock and my interest grew from there. It’s impossible to imagine a world without clocks, and that has always fascinated me. 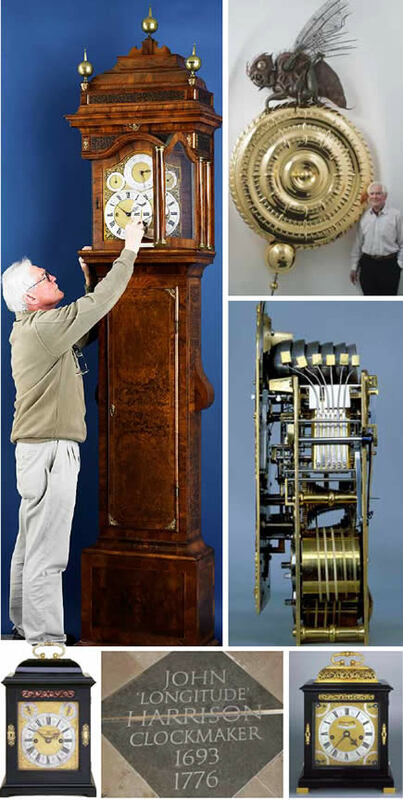 Hear more about my love of clocks on the video link below. 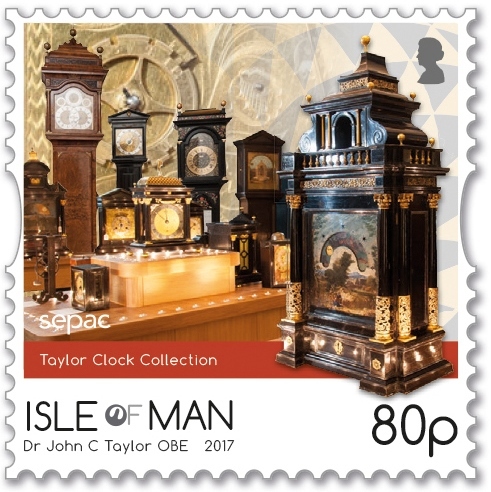 I’m thrilled that the Isle of Man Post Office has visualized my passion for clocks so well in their postage stamp collection that was launched in September 2017.